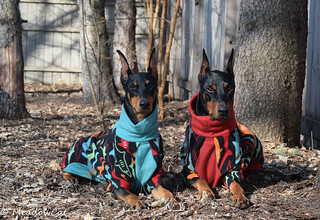 Doberman Forum : Doberman Breed Dog Forums > Doberman Specific Chat > Doberman Health > When owners can't afford healthcare for their dog? By saying this you have shown how little you grasp the concept of free medical care for everyone ie NHS treatment in the UK. No doctor works for free or at a reduced fee. They work for a standard wage and the cost of the treatment is paid for out of ones taxes or rather National Insurance Contributions. This is not dissimilar to a person paying into a private health scheme in that x amount of the NI Contribution is paid towards health care. However, if you think about it, if you have say 10.000,000 people (the actual population for the UK stood at 62,218,761 in 2010) people each paying $20 a month and only 1.000,000 of them needed health care for that month you have 100,000,000 each month left to pay the doctors, buy drugs with and improve your services etc etc. Of course this is a very over simplified example but you should be able to grasp the concept of what so called free health care is from this illustration. Again in the UK we have the PDSA, it is a charity organisation set up for the treatment of sick animals whose owners are on low or no income. Anyone who walks through the door with say a sick Dobe in need of treatment is given said treatment, a contribution is asked for say 10% of the actual cost of the treatment but if you cannot even afford that then you are not forced to pay / sign over your animal. Instead the shortfall is made up from charitable donations etc. All too often I see and hear how money grabbing the medical professions are in the US a friend of mine has just been told her dog needs a hip replacement operation over there and has been told it will cost $5000. Here in Spain it will cost you 500 euros. This is for the same operation and for the same level of care. Someone somewhere is making way too much money at the expense of the animals in my opinion. Well, I am an American and was referring to our system, never pretended to understand or have any knowledge of how other counties address emergency veterinary care when the owner cannot cover the cost. If different options were available in other countries then certainly that would be relevant for those living outside the United States. No matter if you agree or not, the fact remains in the United States… unlike human medicine where emergency rooms are required to treat regardless of the ability to pay…veterinarians are not required to treat animals without being paid. For those who think our system should be changed then that debate would be years in the making for any significant changes. Moreover, it really is not relevant to educating people on the current available options to insure their animals receive prompt lifesaving treatment if they do not have the ability to write a significant check on the spot. With that, I come back to educating new owners that the likelihood is high that their Doberman might require an expensive lifesaving veterinary procedure with no advanced warning to prepare financially for. I think it would be helpful for those who have had recent major emergency surgeries to share the ballpark cost. Bloat and obstruction surgeries come to mind as both are common in this breed and both require immediate intervention. Moreover, especially young Dobermans are prone to grabbing everything and anything and thus making the incidence of obstruction high. Some grow out of it and some do not. In addition, those who have pet insurance to share the costs and experiences with different vendors. Thus, product reviews of various pet insurance companies as well as the premiums charged. For the person that asked about Trupanion.. we have it, and love it! You pick your deductible- so the lower the deductible the higher your monthly cost. We have a $100 deductible, which ends up around $60/mo. So all we have to pay is the office visit fee, the deductible, and 10%. Not bad when you're looking at a $5000+ surgery. We went with Trupanion because they have no lifetime/yearly limits, and they cover Accidents, Illnesses, Hereditary Conditions, Congenital Conditions, Diagnostic Tests, Surgeries, Medications, Hospital Stays, and Veterinary Supplements. I was looking for something that would cover extensive testing/medication for DCM should the need arise, as well as any emergency surgery for bloat, so we wouldn't ever panic that we didn't have the funds to help our baby. We've had TWO claims already, and were sent a check within two weeks on both. "The gift which I am sending you is called a dog, and is in fact the most precious and valuable possession of mankind"
I looked into Trupanion, but the monthly fees for a working dog were ridiculous. I ended up going with Embrace. ETA: For example, (Ivan - 9 months) to get a $125 deductible and Hip Displasia and Alternative Medicine Coverage, had a premium of $107.48/month. It is that you have a charity like the PDSA to treat pets of poor/needy people. Similar things are done here, but on a more area/regional basis. As to your charge of "money grubbing professions", it is a long, hard, expensive education to be a an MD or DVM. One of my cousins wanted to be a doctor, even as a small child; he had a newspaper route for years to earn money towards college. He eventually became a urologist,and is now retired. He made a good living at his profession, but "money grubbing" he was not. He worked hard and earned his money. My veterinarian makes a good living, but he is far from "money grubbing". He treats injuried wild animals for free, and also any stray dogs or cats that are brought in sick or injuried. He has been my vet. for almost 35 years, and he has always been the same caring, reasonably priced professional. Over the years he has saved me countess $$ by not pushing unnecessary, tests or medications. Instead he treated the simple ailment with cheap/free alternatives. I contacted VPI and received this quote. I can handle $100 to $500 but when we get into $5,000+ a pop, that gets more difficult. There's a $14,000 yearly limit. Every claim has been processed very quickly (like a week) and we've always gotten everything paid for. I added on a thyroid test at the cardiologist's because his thyroid was a little low last time (didn't put it on the insurance), and I wanted to keep an eye on that for his heart's sake as well, and they paid it out no questions asked. Chaos was the million dollar dog. those are just off the top off my head, and we have 3 dogs. I also have horses. Any treatment for horses is ridiculous. Of course there is a call fee before we even get started. I do actually have a point to make, 2 in fact. Darkevs was very right in saying it is important to know your vet. We used to drive 3 hours each way to our Vet. we now have one 20 min away and he is incredible. I have witnessed this vet give breaks to people. HE and his team care about the animals first. I watched a lady come in over Xmas to pay $20 on her account. (Something about a surgery.) Vet also has events to raise money for the Farley fund. There are a lot of generous people who give. I feel like the bottom line is "we" (collectively) do the best we can for our pets. In our house, horses & dogs come before anything. "The word for female dog is not dogette"
Titles: Nexus = Spaztastic - Bella = NoNo Bad Dog - Lily = Tiger Shark! The thing with most pet insurances is they do not pay up front. You need to submit detailed paperwork AFTER the fact, and they reimburse you. It does not work like human helath insurance where the facility bills them and they pay. We had a horrendous bill form Nexus when she had her obstruction/rupture. In total over 3.000.00 in vet bills. Both facilities we worked with were gracious enough after paying close to 1000.00 that they told us we could pay the rest when the insurance reimbursement came in. Yes it is nice to have the insurance, you have the peace of mind that you get your money back, less any deductibles and non covered costs. However, you still have to have the cash up front to pay the bills or get a really good vet that lets you wait to pay. In our case, we have been going to this vet since I was a little girl and my parents took our pets there, and every pet I have owned since moving out on my own has gone there, so they know me very well, and because they were willing to let me wait, the e-vet did the same. I just found out about this today for residents of Alberta with a cancer dog. In the UK there are 2 insurers I know of that will pay your vet almost immediately. Vetsure and more than. I'm with more than and I pay £32.08 (about $50) a month for each dog. My cover: vets fees including alternative medicine up to £7000 (about $11,000) per incident or illness. So he could have 4 separate illnesses in a year so technically I could be covered for £28,000 ($44,000) that in itself helps me sleep at night as there are no lifetime limits. Death from injury is £600 ($948) death from illness before 9yrs is £600 ($948) loss due to theft or straying £600, advertising and reward £600, kennel fees (not that I would ever put them in kennels, ever) £600, pet holiday protection £1250 and third party liability up to £2million ($3,160,000). When vetsure quoted me it was just over £50 ($79) for each dog per month but the vets fees not including alternative medicine was only up to £5000 ($7900) So for all the brits out there, if you can find a good vet that accepts more than insurance, you can sleep soundly at night. The policy is well worth what I pay monthly. I spend at least 500 a month to 2000 a month in vet bills with my 13 year old rescue. I am 22 live in a small house. I have no car because of the sick dog i adopted. She has seizures, and has 43 tumours. I stand by her. But i can understand how if i had some sort of issue, or has children. How it could get tough for a person with a sick dog. And i learned a lesson. Don't just grab the sickest, saddest, most temperamental dog when adopting. Unless you are rich that is, and will ALWAYS be rich. Because 11 years down the line, she will need EXTENSIVE vet care just to stay happily alive. Plus, i don't think people mean wrong when they are in these situations. **** happens. We get our dogs, 9 or 10 years down the line...our husband dies. Then our youngest child develops cancer. Then our dog ends up needed surgery. We cant afford it. This doesn't mean the dog isn't in the best home possible. That the dog would be better off rehomed.. Or the person who got the dog is selfish or irresponsible. I just wish there was more help out there for these good owners, in bad times. "Please be advised that we will no longer be accepting applications for financial assistance to private owners as of 15 March 2013. We will still provide information on fundraising and other concerns as we update our "Help" pages. " Titles: Doberman x Rottweiler : NO. It penalizes you for having your **** together. I mean ... you wouldn't want to do something like work for cash and put it in diamonds in a safe deposit box? That would probably be against the law I assume. "Maybe if I stuffed the cash under the mattress. Seriously, our credit union has to report our account balance the first of every month to Social Security. Plus, I have to take in my husband's pay-stub every month, to report his income. And fill out annual paperwork about how the money the kids got was spent. There is more to it, but the full explanation would give any sane person a headache." Last edited by poweranni; 06-17-2013 at 11:25 PM. Reason: forgot to reference quote. 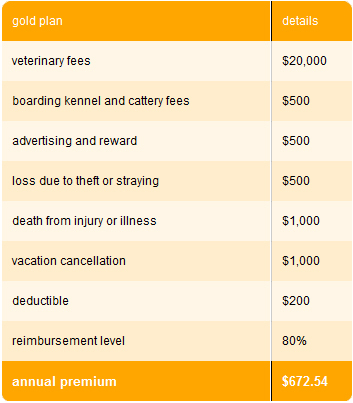 I think that pet insurance is a good option if you have enough money to have it from the get-go. I know going into it, that I can't afford a $10,000 kidney operation on a dog or a cat or a $20,000 round of chemotherapy. Most people, actually .... can't. It is an imperfect world, and truth be told, most dogs have little more than a decade lifespan anyway. I go into pet ownership emotionally prepared to face this. I realize that this is not a popular answer, but I am telling the truth. Cats and dogs don't think like we do. They are cats and dogs. They don't think "oh if I had three more years, I could watch my grandpuppy graduate from Petco's good canine citizen class" ... no. They live for the moment. If one of my pets went through something as painful as chemotherapy, s/he would probably be wondering why. My philosophy is that prevention is the best cure. For example, solve problems before they happen, such as spaying, neutering, vaccinating, microchipping, leashing, put a tag on his collar, heartworm prevention, etc. Feed the dog a standard diet etc. and don't do stupid stuff like feed him weird stuff or play mind games with him or leave him alone with kids or freaky people. I honestly think that the basics have been in place for decades now, and they are reasonable and affordable, and if you follow those rules, your pet is likely to die of old age. Basically if I can prevent accidents from happening, I can prevent the subsequent vet bills. I also think that if people don't have a lot of money they should get a medium-sized dog that is a mix of breeds so they have less medical problems. From what I have seen, some purebred dogs are complete lemons and so are some really large ones and really small ones. If you can barely afford the doberman puppy, don't get one. Vets will probably not cut you slack, if they see that you have some fancy-schmantzy dog. That is like driving up to the food pantry in an Escalade. In the case of a doberman owner who has suddenly fallen on hard times, and can't pay a medical bill, I would say that it depends on a few factors such as the age and temperament of the dog and the complication. Knowing he has fallen on hard times, he should be emotionally prepared to give the dog to a rescue, and even have one picked out, if the dog has something come up that is indeed repairable. Like if you know that your bank account is in arrears, already be in contact with a rescue, just in case something bad happens. That would be my advice. If the dog is really old, perhaps his time has come. There are plenty of us responsible owners that researched the breed, knew what was/could be to come, and after making the choice to expand our families to include a fur-baby have faced unexpected lay-offs (in my hubby's case) or illnesses in many cases, etc.etc.etc. I used to work in medical admin. I can't tell you the insane complaints about the cost of things we received daily. Things like "I can't afford that medicine for my kid. I have to pay the cable bill because they'll shut it off soon so how can I buy these pills?" Loved the family of 5 that came in with McDonald's bags for each of them ( a good $40 on junk), then got nasty and complained when they had to pay their $3 copay or not be seen by the doctor. I also volunteer at the food bank. I have all the sympathy and respect for those who walk or ride their bike to come get food for themselves and their pets. Can't say I have much respect or tolerance for people who show up with their iphones, wait in their cars with the engine running and ask for dog food for their 8 week old purebred puppy, etc. What people claim to be an unavoidable shortage of funds is almost always very avoidable. People don't want to hear you have to be responsible and make intelligent choices so you can afford emergencies. If you are living on welfare or entitlement programs; you can't afford to feed or properly care your own kids so you honestly can't afford a pet. People should be saving for the pet LONG BEFORE they go puppy or kitten shopping but because saving isn't fun, they don't bother to do it. Responsible shelters and rescues take this into account when people want a pet. Adopters who can't afford to care for the animal they want get denied. Then they make the effort to save for a purchase because there is rarely any evaluation or background checks done there....then they go right back to bad irresponsible spending habits. Still honestly can't afford vet care and quality food for a pet? Do your research and adopt a pet who has a lifetime care plan set up by their previous owner. They usually don't cover everyday expenses like food but generally cover all medical expenses. If you're still willing to sacrifice the health and quality of life of a pet in favor of getting the exact breed/age/color, etc you want but can't afford; SHAME ON YOU. We regularly evaluate if pet insurance would be worthwhile and for us it wouldn't at this point. We are super committed to prevention, daily exercise, quality food, low stress, not letting our dogs run loose, etc. We also get a fair discount on our vet bills because we foster a steady stream of dogs at our own expense and have been going to our super awesome vet for years. Our vet is sick of people paying $$$ for bathing, grooming and expensive dog clothing then complaining they have no money for vet care. Sad but not all vets are respectable business people or they may love animals but have poor diagnostic skills. just like saving before you get the pet, it's really important to utilize a well recommended vet before you have health emergencies. oh man this is what upsets me .. If you can not take care of a pet financially please dont get one . Pet Ins is not more than 60$ a month if that and if a pet owner can not even do that they have no business owning a animal... Animals can cost thousands people please treat them as your kids . That's a rather sweeping judgmental statement. There are homeless people who literally own nothing that they can't physically carry who care more for the welfare of their animals than people who live in big houses and own fancy cars. You have bumped a three year old thread in order to judge someone for their choices. Please take some time out to do some reading. Additionally, your statement about the cost of pet insurance is simply false...costs vary from company to company, depending on the area of the country and what type of coverage you choose. While I strongly recommend pet insurance, particularly for Doberman owners, you need to read the rules of this forum before you continue posting. Please consider this a moderator warning. Prince of the Fire nation! To address this particular question though, I’ve gotta throw in my two cents--dogs CAN cost a tremendous amount of money to care for properly--not just because the dog is a dobe, but for any kind of dog. In 2015, we spent 29 thousand dollars on our two dogs' vet care. We got Kip as an older dog, so we had no pet insurance there, and for Capri, I'm thinking a lot of her care would not have been covered even with an insurance policy. Anyway, with Capri’s four surgeries for blockages--three for the same incident but which had peritonitis to deal with, and then another blockage (she wore a muzzle outside, but she got to some long grass anyway. Surgery turned out to be impossible but required multiple sonograms); Kip’s episode of bloat that year; surgery on him to remove a mast cell tumor; Capri with a pulled and/or ruptured tendon in her right wrist which required making an individualized brace and physical therapy; Kip’s five month long bladder infection with a very resistant bacteria; ongoing care for Kip’s allergies which needed a specialized food, medications and regular shots; a DCM diagnosis and medications; I’m sure other things I’ve forgotten *sigh*; PLUS routine vet care--dogs can be VERY expensive. Some of that care was with their normal vet, but a lot of it required care from specialist vets. An extreme and very bad year as an example, but still...each expense was what we thought was going to be the last for that year, so we went ahead with treatment--and it all added up. How many people can come up with that kind of money in one year alone? I would advise that anyone getting a dog have at least enough money saved up for routine care, and a bit to cover emergencies too. Does that mean you shouldn’t get a dog? I don’t know, but you should be prepared for the possibility that you may have to spend a LOT of money in any given year. When you look at the total for a particular year, it sure can turn out to be expensive. Last edited by melbrod; 05-10-2017 at 02:49 PM. Financially speaking, I don't have a pot to piss in. My Dobe is, however, well cared for. I make sure his insurance is paid for every month & he gets medical treatment as & when he needs it whether the insurance covers it or not. My hubby & I go without to ensure he doesn't. Don't be so judgemental about poor people. We can't all be rich as Rockerfeller, you know. Just wanted to add that in the US you can usually go to a veterinary school and get very reduced cost care from a team of students supervised by a teacher. A lot of schools partner with local vet offices too to get their students exposure. And if it's a rare or really tough surgery that many students are unlikely to get to practice before being asked to perform it at a clinic they're more likely to take it and less likely to charge a ton. Same goes for less common animals / breeds.